We all know that banks are institutions that make money by charging more and more fees, right? Some folks have gotten very upset about increased ATM fees, check fees, transfer fees, bill pay fees, etc. ad nauseum! Well, here in Panama, we Backes operate on a savings account with no debit card and no checks, etc., therefore no service. If we want a cashier’s check, we pay $10 plus tax. If we transfer money in from our US account, we get charged $30 plus tax to receive that. Those fees are bad enough, but just this week, we received an email from our bank informing us that, as of May 1, there will be a new fee schedule in force. You are probably wondering what this has to do with you. Well, nothing, unless you are a US citizen with a bank account in Panama and maybe even in some other foreign country! 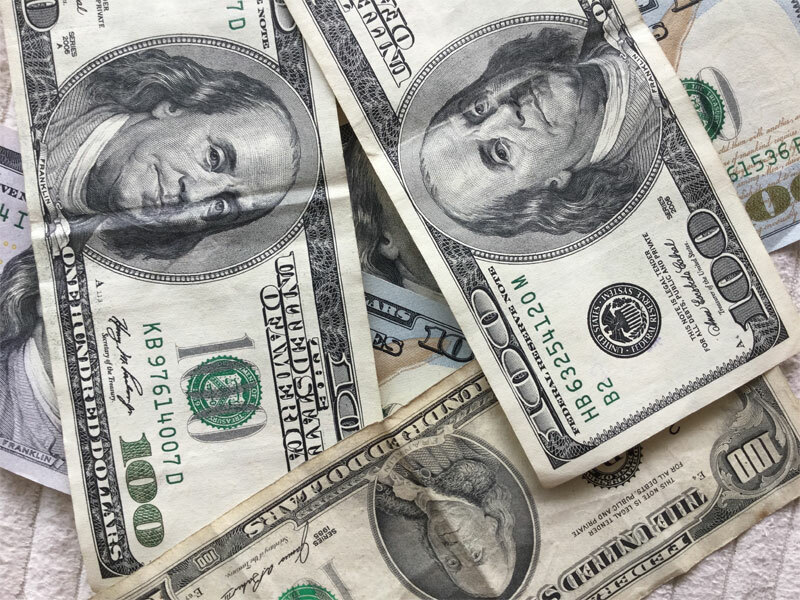 This new fee schedule targets non-Panamanian account holders for the worst fee increases. Our bank has instituted a $250 annual fee for simply being a US Citizen holding a bank account (of any description) at their bank. Why would they do this? Why would they discriminate against US Citizens this way? You see, FATCA (Foreign Account Tax Compliance Act) forces foreign banks to report to the IRS on a regular basis how much money US citizens have in their foreign bank accounts, regardless of whether those citizens live in that foreign country or not. At least we can rest assured that the IRS is taking care of our bank accounts wherever we go and are not employing drones to follow our every move, right? (wink, wink) Understand that the banks in Panama have no option but to comply with FATCA. They must do what Washington D.C. dictates or they will be out of business. Panama was one of the first countries to agree to comply with FATCA. It will be interesting to watch how many other countries will be strong-armed into meeting these demands of a greedy IRS. We are talking about approximately 200 countries around the world. And will the IRS reciprocate if these countries want similar reporting about their citizens’ accounts in the US? FAT(CA) CHANCE! This is an unsavory little piece of extortion from the Internal Revenue Service in the United States that is making living abroad more and more difficult for their citizens. Some banks are charging much lower fees and at least one major bank charges no fee at all. We will be more than happy to share this banking information with you, if you are looking to open a bank account in Panama. 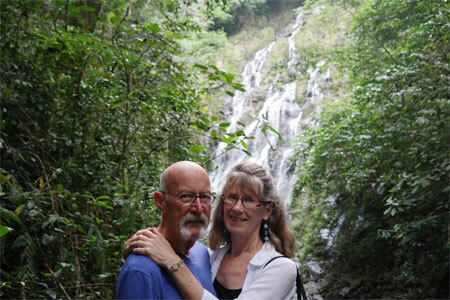 Just email us at fpb@anamericaninpanama.org. It has taken me more than a year to find out what’s behind the names Casco Viejo, Casco Antiguo and Panama Viejo. Casco Viejo, which is also called Casco Antiguo, is a part of Panama City where we spent time on our first visit to Panama. PanamaViejo is the ancient capital of Panama and much older than Casco Viejo,so I thought I would start with some information on this fascinating piece of Panama’s history. Panama Viejo, the ancient capital city of Panama, was founded in 1519 and was the first European City built on the Pacific coast of the Americas. Today the ruins of that city are still visible when you drive from Panama City to the International Airport along the Expressway known as the Corredor Sur. The original capital city, which quickly was established as an important trade center for gold and silver, was founded by Spanish conquistador Pedro Arias Davila, who came to the Americas with 18 ships and around 1,500 soldiers. Although he was the first Spaniard in the Americas, Davila was known as the “ruthless” governor of Panama and was responsible for the “legal murder” of Vasco Nunez de Balboa, the much-beloved governor who preceded and was deposed by Davila. Although Davila moved on to Nicaragua (which he called “New Spain”), he left behind a very sophisticated city built on the grid system. The city included domestic,civic and religious structures. Panama Viejo continued as the capital city for 152 years until, in 1671, it was sacked and burned by the Welsh pirate, Captain Henry Morgan–yes, the same guy who is featured on a spiced rum named for him! Go figure, when rum is the national drink of Panama! 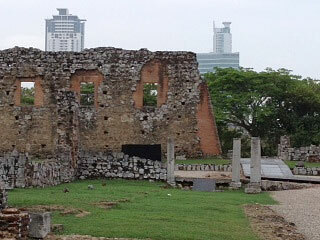 The old capital city of Panama Viejo was never rebuilt, since it was built in an open and difficult-to-defend location. Rather, in 1673, the new capital city, which is now known as Casco Viejo (the old quarter), was built on a peninsula which was much more defensible. This area continued as the capital of Panama until the 20th centure. 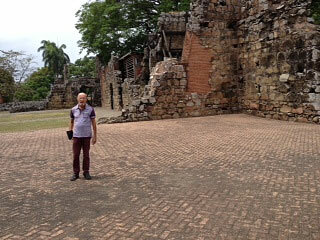 Watch for a more in-depth report on this great piece of Panama’s history in an upcoming newsletter.